A survey indicates that companies that disaffiliated with NRA members had a sharp drop in "favorable" ratings when informed of the decision. Giving in to Twitter mobs at the price of hacking off five million people (or maybe fifty million -- polls have indicated that for every one NRA members, there are nine people who incorrectly think they are members -- is a bad PR idea. Who would have thought it? Good guy alert: FedEx announced it will continue its discount for members, that it doesn't care what political beliefs its customers have. I don't do business with any of the above, except for the car rental companies... well, Dollar usually gives the best prices, anyway, so I'll just use them. Legal issue: this is, of course, being driven by entities on social media (with some bots likely thrown in). Could this be tortious interference with contract? "Florida lawmakers, like U.S. Sen. Bill Nelson, want stricter laws to fix the so-called "gun show loophole," which allows people to buy a gun at one of these events without getting a background check. Not only that, Nelson is also calling for a ban on assault weapons, saying murders were down after they were banned back in 1994. "Before that law, they were high and after that law, when the NRA killed the law in 2004, the number of deaths as a result of assault weapons has grown up like a rocket taking off," he says." Let's get real. There are no national records on "assault rifle" use. The FBI only breaks firearm homicides down into rifle, pistol, shotgun, other. All rifle uses are lumped together. The overall and gun homicide rates did begin to fall in 1994, and continued to fall after the "assault weapon ban" expired in 2004. Since rifles of all types are used in about 300 homicides per year, it is impossible to claim that AW deaths have "grown up like a rocket." In fact, in 2004 there were 393 total rifle homicides and in 2016 374. I've seen this quite often. An advocate of gun control need only invent data (i.e., lie), proclaim it, and expect the press to publish it without any fact-checking. "We have more government, at all levels, than we've ever had before. Yet failures like this keep happening. The FBI, after all, missed the Tsarnaevs (who committed the Boston Marathon bombing) despite being warned by the Russian government. It missed the 9/11 attacks even though it was investigating Zacarias Moussaoui -- agents investigating Moussaoui hit so many roadblocks that they joked that Osama bin Laden must have had a mole in the Bureau HQ. And, of course, the San Bernardino shooters and Pulse nightclub shooter Omar Mateen escaped the net as well. People are being asked to trust the government to keep them safe, when the government is patently unable to do so. And then, when the government fails, it engages in blame-shifting deflection. Why should people listen? Increasingly, they won't." Not long ago, Harvey Weinstein was boasting that he was going to make a movie about NRA and that they are "going to wish they weren't alive after I'm done with them." Now, someone is writing a play about Harvey Weinstein. (He'd better hurry. There may soon be movie on the subject. But over a strong Thomas dissent. "as evidenced by our continued inaction in this area, the Second Amendment is a disfavored right in this Court. Because I do not believe we should be in the business of choosing which constitutional rights are "really worth insisting upon," Heller, supra, at 634, I would have granted certiorari in this case." "The Ninth Circuit claimed to be applying intermediate scrutiny, but its analysis did not resemble anything approaching that standard. It allowed California to prove a governmental interest with speculation instead of evidence. It did not meaningfully assess whether the 10-day waiting period is reasonably tailored to California's purported interest. And it did not defer to the factual findings that the District Court made after trial. The Ninth Circuit would not have done this for any other constitutional right, and it could not have done this unless it was applying rational-basis review." I've been looking over the indictment and, from the standpoint of an appellate law practitioner with 40 years' experience, it looks like a PR gesture rather then the statement of a viable case, even if we disregard the fact that it indicts a bunch of people in Russia, who aren't likely to surrender to authorities, who acted in Russia, where the application of US law is doubtful. Count One, the key count, (p. 4-5) charges conspiracy to defraud the US government ny impairing the functions of various agencies. This is a variation of the "honest services fraud" claim, that is, a claim that the fraud deprived the government of its right to honest services of its employees. The application of the conspiracy to defraud to deprivation of honest services was disallowed in McNally v. United States, 483 U.S. 350 (1987), then (after Congress amended the statute to expressly include such a theory) narrowly allowed in Skilling v. United States, 130 S.Ct. 2896 (2010), where the majority held that the new statute could be saved by a narrowing construction that made it applicable only to certain pre-McNally case law - basically, theft via bribery or kickbacks. 130 S.Ct. at 2932-33. The indictment does not allege that either was involved. To be fair, I haven't compared the indictment in Skilling with the indictment here, nor considered whether the wording of the indictment affected the outcome. At the very least, Count One is doubtful. The remaining counts are wire fraud and bank fraud. I can't speak to the latter, but with wire fraud (technically, use of the wire to defraud) the mail and wire fraud statutes speak of artifices "for obtaining money and property." 18 U.S.C. §§1341, 1343. Cleveland v. United States, 531 U.S. 12 (2000) establishes that "obtaining property" within the meaning of these statutes does not encompass obtaining issuance of a government permit. McNally v. United States, 483 U.S. 350 (1987) establishes that the intangible right to honest government was likewise not property. United States v. Bruchhausen, 977 F.2d 464 (9th Cir. 1992) holds that under McNally, government agencies' right to conduct their affairs free from false statements is not property. If the Independent Counsel's folks did their research, they must know that Count One is questionable at least, and the remaining counts look utterly invalid. Even if the Russians indicted booked flights back here to appear, and if a DC court were to conclude that it had jurisdiction over acts that occurred in Russia, the indictment would probably go down in flames. Which leaves only one explanation for it. It's from his Facebook page. 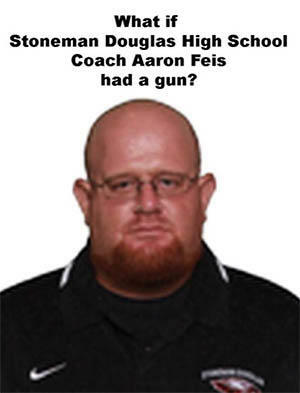 The reference is to the football coach who gave his life shielding three students from the killer. She's Lori Klein Corbin, and here is her campaign page. She's a national GOP Commiteewoman and the coordinator for the Western Conservative Conference. She's as pro-gun as they come, married to former NRA president and Arizona Attorney General Bob Corbin, shows up for most Board meetings even tho she isn't on the Board. I've been trying to find webpages on the subject, please feel free to add them in the comments. So far I've found Colonel Brown's webpage. He also endorses David Keene, William Satterfield, John Sigler, Scott Bach, David Coy, John Cushman, Timothy Knight, and Mark Humphreville. I've also found a Facebook page for David Coy, and a a webpage for Scott Bach. One tip: too many people vote on the basis of "since I can vote for 25, I will vote for 25." That's not good math. Your 25th pick might just bump off your first or second choices. I usually think of the ones whose loss would really hurt the organization, and vote just for those. My problem this year is that there are so many of those on the ballot! I haven't had time to fill out my ballot, but when I do I'll probably vote for a dozen or so, while most years I'd vote for six or seven. I also try to compensate for my natural bias, and not to neglect the folks who focus more on shooting as such rather than activism. If we don't have people to bring juniors into the shooting fold or promote hunting or arrange competitions, activism won't do much good after a generation or two. Story on Fox News. Well done, Mr. Meyer, well done. Here's Prof. Volokh's analysis. The court uses "elevated intermediate scrutiny," holding that "the government bears the burden of showing a very strong public-interest justification and a close fit between the government's means and its end, as well as proving that the "public's interests are strong enough to justify so substantial an encumbrance on individual Second Amendment rights."" (This level of review stuff is getting complicated. Back when I went to law school, there were just two: strict scrutiny and rational basis. Now there are three and arguably four levels.